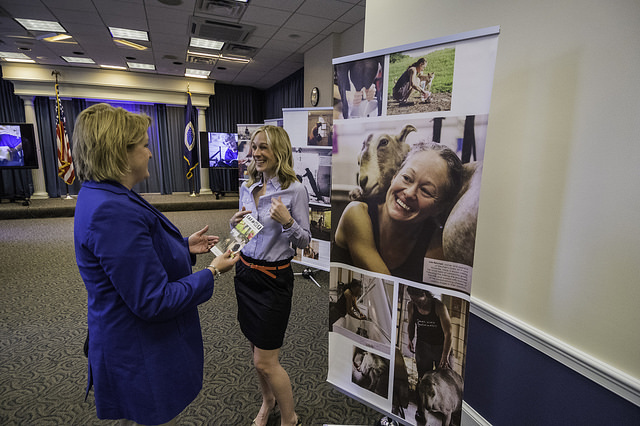 Laurie Langstraat and Marji Guyler-Alaniz discuss Guyler-Alaniz’s exhibit “FarmHer | Documenting Women in Agriculture through Photography” exhibit part of the National Ag Day celebration at the U.S. Department of Agriculture (USDA) in Washington, D. C. on Wednesday, Mar. 18, 2015. Guyler-Alaniz, President and Founder of FarmHer is documenting the important role of women as owner/operators, landowners, workers and mentors in American agriculture. As a woman who worked commercial agriculture Guyler-Alaniz feels the world is long overdue to start bringing images of women in agriculture to the forefront to show the role women play in agriculture; providing food, giving to their communities and sharing with others. USDA photo by Bob Nichols. "Women are the past, present, and future of agriculture." As a woman in agriculture, who inspired you? 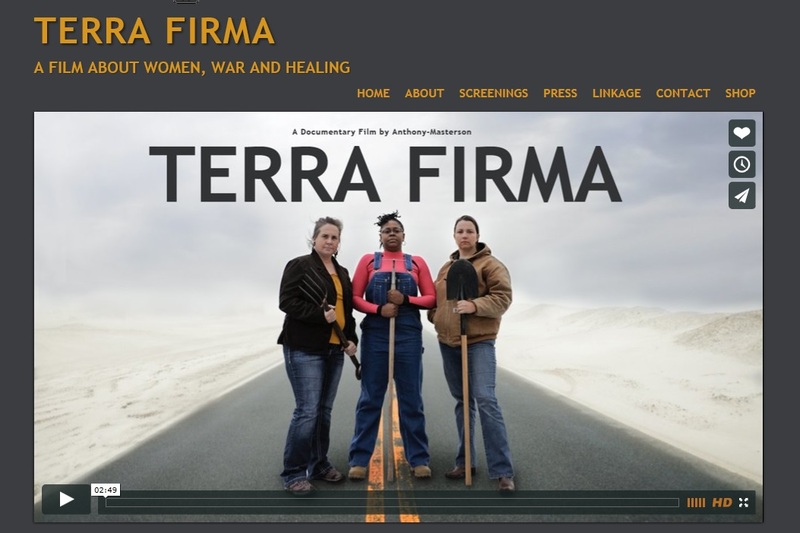 Watch how women farmers are organizing themselves and helping each other by sharing their experiences and by restoring native seeds. Also hear from Groundswell’s partners in the field as they work to protect indigenous seeds and build on the existing capacities of farmers and the systems they already use. Photographer Marji Guyler-Alaniz noticed how women were not normally included in imagery about farmers. She started taking pictures focusing only on female producers and began FarmHer to change this. ﻿The World Food Programme and local governments in Ecuador buy food produced by women farmers with two goals: To support local production and empower women farmers, and to diversify the diet with healthy and nutritious foods.